Get help from the largest credit repair law firm. We'll fight for your legal right to a fair & accurate credit profile! Working with Equifax, Experian, and TransUnion may be challenging. Fortunately, our solutions are not. Before you can dispute any claims, start with an education. We help you understand the unfair and inaccurate items on your credit reports and the process to remove them. Almost 70% of all reports have errors. Chances are, yours has them too. Unfortunately, some of these errors may be lowering your score unfairly. We can help you navigate the bureaus. While all cases are different and your result will vary, by helping our clients navigate the bureaus, last year, they saw 9,000,000 items removed from their reports in total across the three bureaus. Start the process to dispute and confront errors on your report now. 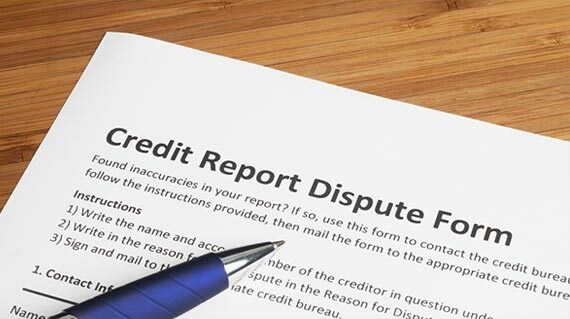 According to the Fair Credit Act (FCRA) you have the right to dispute any errors on your credit history. 70% of disputed credit reports had confirmed material inaccuracies. However, the bureaus aren't required to investigate a claim they consider frivolous, which means the process can be slow and complex. Fortunately, we have the experience and knowledge to show you how! While all cases are different your results will vary, we've helped hundreds of thousands of clients navigate the bureaus and achieve success. You can have a trusted advisor to help you dispute your report and repair your credit. Others have succeeded with disputing the bureaus. Here are some of our client's stories.